Thank you for spending the week with Authentique! We loved sharing our Easter Projects with you, and would like to leave you with just a couple more ideas to finish the week. This fun bunny box was created using the Silhouette Cameo, using Lori Whitlock's file Bunny Belly Box. 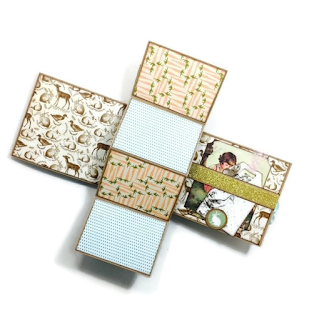 The bunny itself is created using the Spectrum Series papers in Antique Lace and Sandy Beach. The bow, nose and ears of the Bunny Belly Box are created using the Eastertime 6x6" Bundle. This little Carrot Sour Cream Container is created using some of the 12x12" papers in Eastertime Two. Little boxes like this make for perfect candy dispensers. 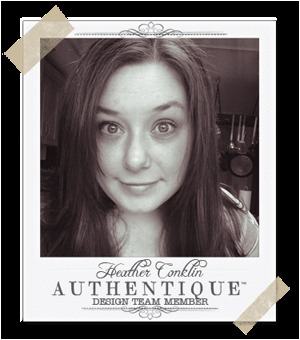 If you haven't already, make sure to check out our talented Design Team Member, Kay's post for her lovely Eastertime mini album. There is a fantastic tutorial also. 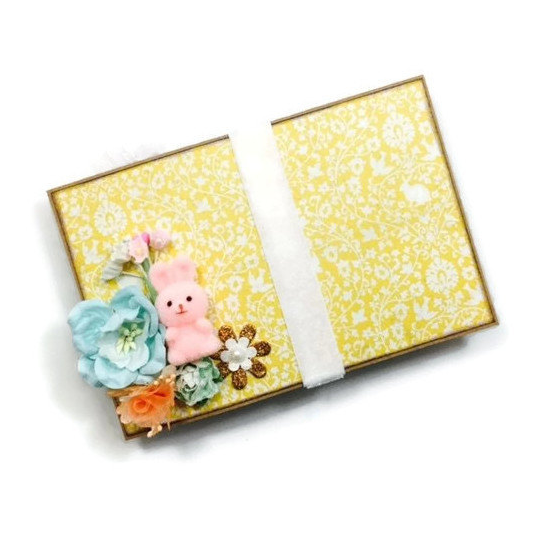 The inside of this lovely album has just the perfect amount of Eastertime details! Enjoy your Easter weekend, and thank you for spending time with us at Authentique! Such delightful creations for Easter!! Love the bunny especially! !